Aleatha Dickerson (Quiet Waters) and Raymond Williams (Golden Hawk). They don’t have federal recognition. They don’t have land. But the Chappaquiddick Tribe of the Wampanoag Indian Nation has not disappeared into the mists of time. 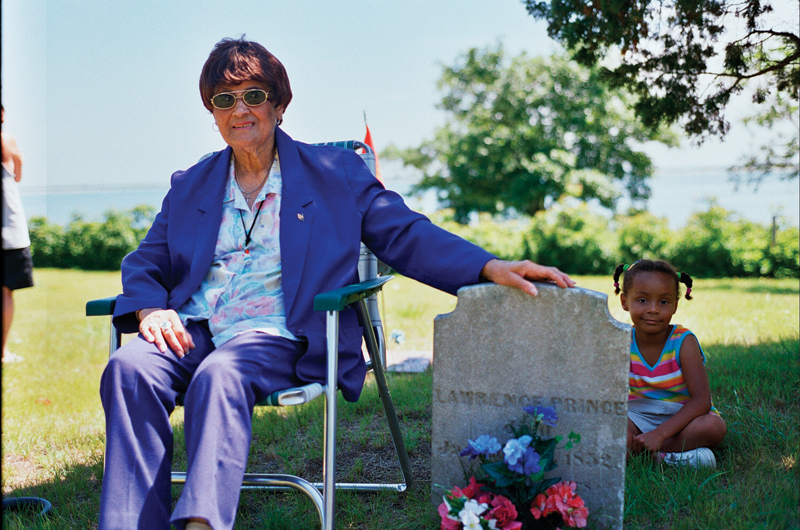 On a bright but brisk Sunday afternoon, Margaret Gonsalves Oliveira pulled her car off a dirt road on the island of Chappaquiddick and tromped through the woods to a small clearing, where reside the graves of a half-dozen Native American notables from long ago. In a sense, this site, hidden from the road, could serve as a metaphor for Oliveira’s tribe – not quite lost but nearly forgotten. 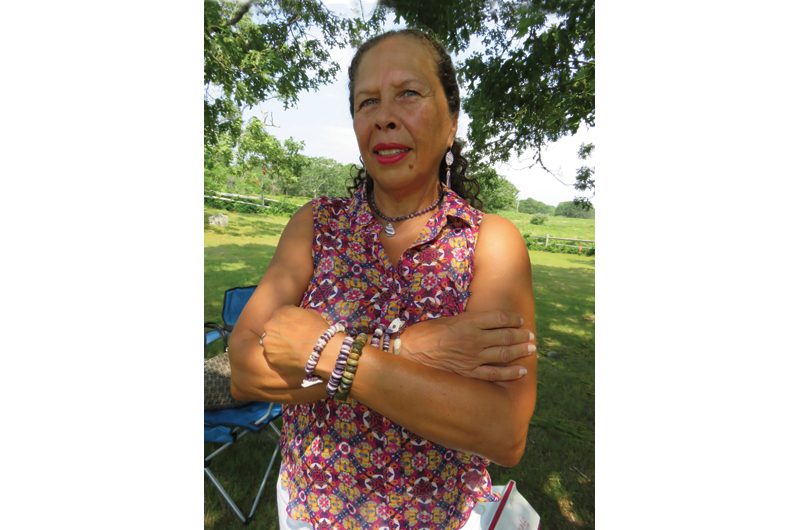 She’s a member of the Chappaquiddick Tribe of the Wampanoag Indian Nation, which exists in low profile, especially when compared to the Aquinnah tribe on the western edge of Martha’s Vineyard and the Mashpees on the mainland, both also Wampanoag and the only two federally recognized tribes in Massachusetts. Oliveira and about 300 other enrolled members constitute the Chappaquiddicks, and while they share many cultural similarities – as well as relatives and friends – with the Aquinnahs and the Mashpees, there’s one key distinction. The Chappaquiddicks today have no tribal land of their own. Largely because of that, and the resulting diaspora of members, until some twenty years ago they were on the verge of ceasing to exist as a formal community. The lack of tribal land and the federal recognition that often goes along with it also means that the Chappaquiddicks, like several other so-called “historic tribes” in Massachusetts, exist largely out of the public eye. Love Madison Prince (born 1801), from whom more than 400 Chappaquiddicks are descended. When the first English immigrants – perhaps the original wash-ashores – took up residence in the early 1640s in what is now Edgartown, Martha’s Vineyard had several separate Wampanoag settlements that amounted to about 3,000 people, from Gay Head in the west to Chappaquiddick in the east. They had been living on the Vineyard since before rising seas from the receding ice age made it an island six to seven thousand years ago. It’s likely they were not particularly surprised by the arrival of the colonists: it was Wampanoag cousins of theirs, led by the Sachem Massasoit, who welcomed the first Pilgrims to Plymouth two decades earlier. Even before 1620, one of their own, Epenow, had returned to the Vineyard after being enslaved by an English trader and taken to England for several years. The island of Chappaquiddick (derived from the Wampanoag word tchepi-aquidenet, or “separate island”) was led in the 1640s by the sachem Pakepanessoo, who is said to have wielded firm authority over his people and conducted the tribe’s relations with the English arrivistes. The Mayhew leaders of the colony were committed Christian missionaries, and while Pakepanessoo was initially critical of those of his tribe who converted to Christianity, he too became a believer, it was said, when he was nearly struck by lightning and one of the converts rescued him. communal land would shrink to virtually nothing. Margaret Gonsalves Oliveira (Social Butterfly). It got so bad that the Chappaquiddicks had a petition of their grievances hand-delivered to King George III in the early 1770s – but, as the story goes, the king’s resulting order fell on deaf ears among the colonials, who were flouting the home country’s instructions by then. Indeed, in the Declaration of Independence a few years later, one of the Americans’ specific complaints was that the king was “raising the conditions” required for taking land away from Native Americans. As tensions between natives and settlers persisted, the state legislature divided the island in 1788, leaving the tribe with about one-fifth of the land, in two reservations. In 1828, the reservations were further divided among the seventeen Wampanoag households on the island, according to various histories. Many Chappaquiddicks were forced to move away for work – sometimes conscripted on whaling ships – to support their families. 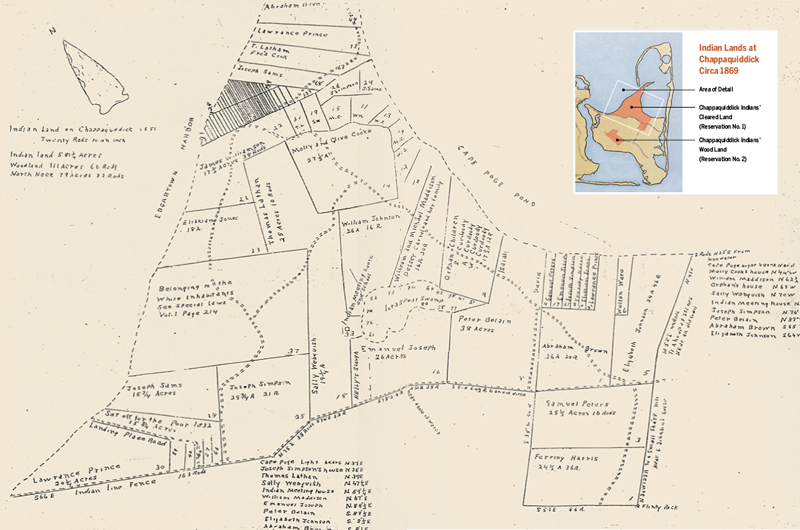 Although its precision as a census is questionable, one of the state’s periodic reports about the size and condition of the Native American population reported that in 1849 the largest concentration of Native Americans on the Vineyard was already in Gay Head with 174 tribe members, followed by Chappaquiddick with 85 members, and Christiantown with 49. According to the report, the Chappaquiddicks were then living on 692 acres, “on a bleak exposure, and the soil is barren, and yields a precarious subsistence to the most unremitting industry.” By comparison, the Gay Head tribe occupied 2,400 acres. The Aquinnah and Mashpee tribes managed to stay together and keep their land, in part because when Gay Head and Mashpee were incorporated as towns in 1870, virtually all their residents were tribal members. The island of Chappaquiddick, on the other hand, had long been a part of the town of Edgartown, where white settlers easily outnumbered them. William Handy and Hope Gaskins. Contrary to the universal mythology of conquest, people don’t “disappear” when they lose their land. Nonetheless, nearly four hundred years after the permanent arrival of Europeans in New England, it’s a wonder of sorts that any tribes without tribal land have survived at all. By the mid-twentieth century, there were virtually no Chappaquiddicks living on the island, said Alma Gordon, the tribe’s sonksq (female sachem). Furthermore, the number of parcels owned outright by persons connected to the tribe was dwindling. Intermittent efforts in federal and state courts to reclaim any land were unsuccessful, including a sweeping lawsuit undertaken by the various Wampanoag tribes to reclaim lands on the Vineyard, the Cape, and Nantucket that was rejected by the federal courts in large part because they were not recognized by the federal government as tribes. (The Aquinnah gained recognition in 1987, the Mashpees in 2007.) Individual efforts in state courts to reclaim family parcels on Chappaquiddick also largely failed. “If we had had our own town, chances are some people would have remained, or maybe given us a firm handle on our community,” said Gordon, who has also served as tribal historian and goes by the tribal name White Sky. But despite the legal setbacks, or maybe because of the communication required to pursue the cases, various families with tribal roots kept in touch. The families – Rocker, Healis, Handy, Curtis, Brown, Freeman, and Epps – kept some continuity alive, said Gordon. And about twenty years ago, an effort to regain a more cohesive status – in effect, a tribe – began to coalesce. For Penny Gamble-Williams, whose tribal name is Chappaquiddick Woman, the reunion of the Chappaquiddicks was the culmination of her own long journey from Providence, Rhode Island. 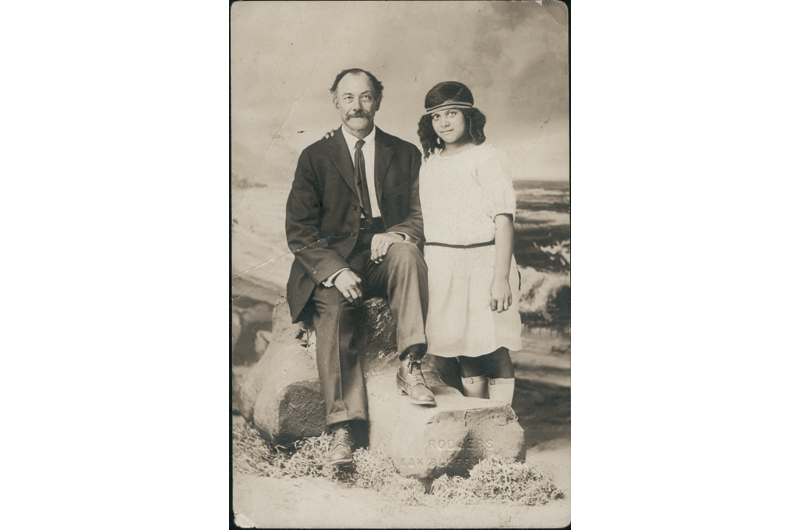 There, as a young girl, she heard tales of her heritage and of the island of Chappaquiddick and dreamed of the days when her grandfather spent his formative years there with his aunt Sarah, who was the wife of famed black whaling captain William Martin. When Sarah Martin died in 1911, her family’s presence on the island seemed to have died with her. Occasionally some of those families even got letters from lawyers about court actions to further partition land on Chappaquiddick that still had their names attached to it. But there was little they could do. “Because we came from hard-working families, no one had the money to hire attorneys and figure this out,” she said. 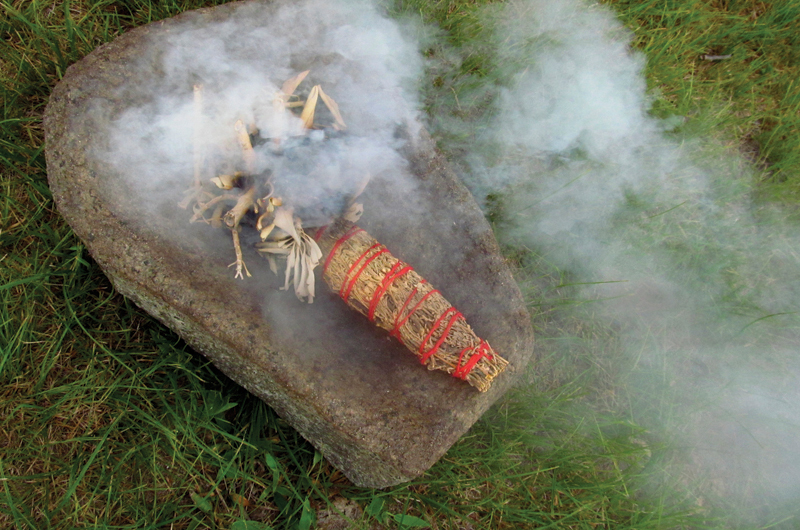 Sacred smoke from sage is used to cleanse the circle at the annual gathering. 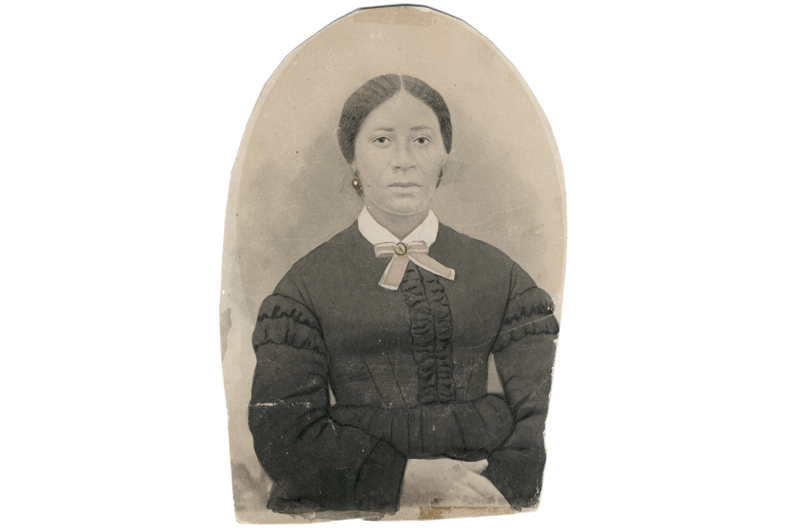 It wasn’t until Gamble-Williams moved away from New England in the 1970s that the grip of her ancestry gained purchase. She was living outside Washington, D.C., and began to follow the American Indian Movement (AIM) and joined the Longest Walk, in which several hundred Native Americans walked across the country to protest the indifference of the government to the plight of Native Americans and were joined by many others for portions of the trip. (Gamble-Williams walked the eight or nine miles from her home in Hyattsville, Maryland, to the Capital Mall.) She became a member of AIM and the Women of All Red Nations. (Slow Turtle). Perhaps the best-known Wampanoag of the latter part of the twentieth century, he was not only the supreme medicine man of the Wampanoag nation, but the first executive director of the Massachusetts Commission on Indian Affairs, a position his son Jim now holds. The elder Peters always offered encouragement when she brought up the Chappaquiddicks. Visiting the island of Chappaquiddick, Gamble-Williams would walk around Captain Martin’s house, thinking about her great-aunt Sarah and her grandfather, who lived there for a few years. The latter would go on to become the friendly neighborhood mail carrier in Providence, who always carried a pair of moccasins for his sore feet at the end of his route. Something kept pushing her, and the years of researching her tribe’s roots became a spiritual journey as well as an intellectual one. “This sort of wave was moving me,” she said. Alma Gordon (White Sky), the current sonksq of the Chappaquiddick Tribe. In 1995, after filing for 501(c)3 status, the reconstituted Chappaquiddick Tribe of the Wampanoag Indian Nation held its first annual gathering in the Chappaquiddick Indian Burial Ground overlooking Cape Pogue Pond. There were about fifty people. It was a start. There was no welcome party to greet a group of Native Americans gathering for – well, for who knows what. It made some residents understandably nervous – perhaps some who feared more litigation over land claims. The skeptics included several well-known and longtime residents of Chappaquiddick who proudly pointed to their Gay Head tribal roots and, said Gamble-Williams, made it clear that they would not be involved with the resurgent Chappaquiddick tribe. But the Chappaquiddicks received plenty of encouragement from various other Gay Head and Mashpee leaders, and the following year, some of them were in attendance at the second annual gathering. Among them, of course, was Peters, a.k.a. Slow Turtle, whose presence lent prestige to the event, and whose Wampanoag name seems a fitting symbol of not only the pace but determination of the Chappaquiddicks’ journey back. Driving around the island with her car full of relatives, Margaret Gonsalves Oliveira remembered how she found out she was a Chappaquiddick. It was in the 1980s and the Gay Head tribe was in the final stages leading to federal recognition. As part of that process, figuring out exactly who was going to be in the newly official tribe and who was not suddenly became more important. “My mother was told we were going to be let off the roll because we were Chappy,” Oliveira said. Her younger sister, Yvette, was still in an after-school Indian education class in Gay Head at the time and was also told she wasn’t part of the tribe. It’s obvious there is still some sting to the memory, but Oliveira didn’t sound particularly bitter in recounting it. Bitterness, one senses, is just not in her nature. And besides, she’s as proud now to be a Chappaquiddick as her friends in Aquinnah are to be Aquinnah. Her feather earrings bouncing as she laughed, she navigated the roads of Chappaquiddick in her Honda Accord, with the Massachusetts license plate NATIV, pointing out various sites. Also in the car were her sister Yvette, cousin Willz (sporting a red sweatshirt and baseball cap with “Chappaquiddick Tribe” on them), and her husband Dave. The trip included stops along North Neck Road, Sampson’s Hill, and the Indian Burial Ground. Throughout the tour the car was full of teasing and laughing – mostly Oliveira’s – the sounds any family might make on a sunny afternoon rattling around the places their grandparents grew up. In some cases, tribal members never knew they had had slivers of land on Chappaquiddick. Or they knew they did, but never learned it had been legally partitioned. Or they were under the misapprehension that their land was exempt from local property taxes – like true reservation land. Gordon recalled one family that had its land taken by the town in a dispute over $86 in unpaid taxes. 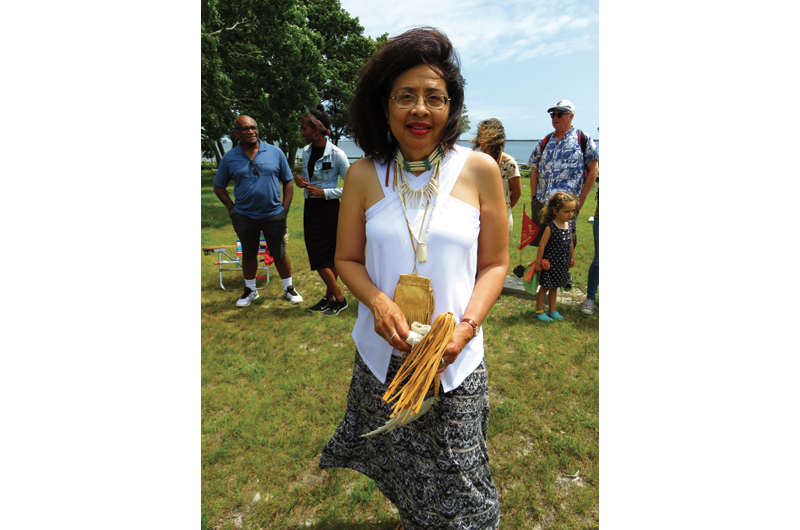 Eventually, Oliveira’s curiosity led her to the annual gatherings on Chappaquiddick where she began to appreciate the kinship, as well as the rites and rituals, especially the cleansing and naming ceremonies. She began talking to her mother about a Native American name, this woman who as a girl was known to her mother as “dogfeet,” never sitting still; who wanted to be a party planner; this oldest among siblings, with fourteen nieces and nephews, who thought nothing of serving meals for two dozen or more, and who leaves leftovers in the mailbox for a cousin. The annual reunion on Chappaquiddick bridges the generations. On a muggy day this past July, about thirty tribe members stood in a circle at the Indian Burial Ground for their annual gathering. Gordon, the sonksq, presided, moccasins on her feet and a leather medicine pouch containing sage and shells hanging around her neck. For the first time, Oliveira took a primary role in the cleansing ceremony, waving smoke from a smoldering sage bunch up and down the front of each tribal member, and then in the naming ceremony. As a slight breeze rustled the oak leaves overhead, six members received their native names. As each one was called into the middle of the circle – two young boys, a young man, a middle-aged man and woman, and finally, an infant – the group called out their names three times. Soaring Sparrow, Quiet Wolf, Gliding Falcon, Smiling Bear, Sea Turtle. And finally, Little Robin (ten-month-old Zoe Pelletier from Rhode Island, cradled by her mother). In the air was a feeling of the changing of the guard as Gordon delivered brief remarks, making note of some tribal elders – including one nearing her one-hundredth birthday – who were too ill to make the trip. There was also a powerful spiritual undercurrent, abetted by the naming and cleansing ceremonies, which ended with a prayer. A week later, in a phone interview, Gordon suggested that there may indeed be tribal land, some small piece of common land that hadn’t been allotted to families, that might one day be reclaimed by the tribe. But, she said, much more research needed to be done. “It impacts our sense of tribal identity and our sense of self-esteem that we as a people have a place of our own,” she said. Sovereign status on the part of the U.S. Tribal lands means basically they have the same rights as any individual state - not a separate country. They are still under federal jurisdiction - just like the rest of us Americans. Two questions for the author of the article. You reference an order by King George III in the early 1770’s that apparently was intended to restrict the talking of tribal lands on Chappaquiddick. Do you have a copy of that order that you can share, or at least share the text of that order? In addition, you characterize the portion of the Declaration of Independence that complained of actions of the king “raising the conditions of new Appropriation of Lands” as having been a complaint about the king “‘raising the conditioned’ required for taking the land away from Native Americans.” That’s an interesting construction of that provision, and I’m wondering what support you have for the conclusion that the more general language in the Declaration was meant as a complaint about limitations on taking land from Native Americans. Or do you draw your conclusion from the Chappaquiddick land order that you previously mentioned? Thanks very much. Thank you for this interesting article. I support wholeheartedly 100% the presence, and the re-establishment of the Chappaquiddick Tribe on the island. I think that for now, some land should be purchased, and held in common, for all the tribe and its members, in perpetuity, as a Trust. And, as a more radical solution, eventually, I also think that all the lands there on the island, should be given back to the tribe. All current residents/land owners should be issued a new "leasehold" title deed, to replace their current Warrantee title Deeds, to their current lands. It could then, at the option of the Tribe, eventually, upon expiration of the "lease", revert back to the Chappaquiddick Tribe. Now though, in the short-term, I support the establishment of a Not-for-Profit land-purchase Fund to begin the task of buying lands, for the purpose of re-establishing a Legal Presence for the Tribe on the island. I also encourage everyone to talk with their Local, State, and Federal lawmakers,and Representatives, to convince them to help make this a reality.